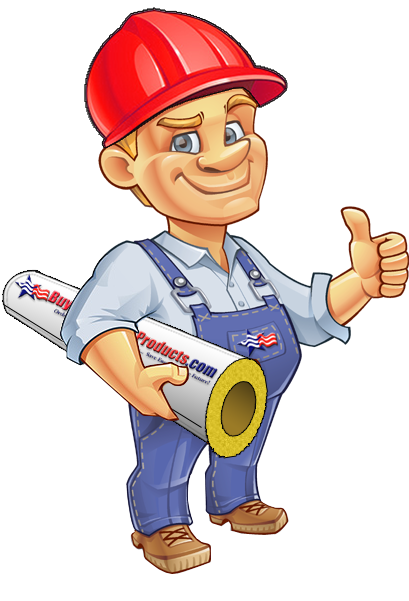 Fiberglass Duct Wrap is used as a thermal insulation on interior heating and air-conditioning ductwork. Our Fiberglass Duct Wrap is 1-1/2" thick with a 3/4# density and FRK Facing (Foil Reinforced Kraft). After the duct insulation wrap is wrapped around the circumference of the duct and wired or pinned onto the duct, all seams are sealed with FRK tape.